The Chamber Music experience is a program focal point for HMP students. Student placement in ensembles is done personally by the director, and chamber groups meet weekly with their chamber instructor. Chamber ensembles perform together as a program in the Honors Music Program Chamber Concerts at semester-end. Some ensembles are inspired to remain together for many years, building musical communication and performing increasingly challenging repertoire. Others enjoy the experience of performing with new partners and instrumentation. Ensembles rehearse independently outside of class. B.M., Temple University’s Esther Boyer College of Music. Studied with Hirofumi Kanno and Philadelphia Orchestra member, Lloyd Smith. Suzuki training with Annette Costanzi, Pamela Davenport, Rick Mooney, Hartt College of Music Suzuki Institute. Faculty member, Trenton Community Music School and Trenton International Charter School. Conservatory faculty since 1995. 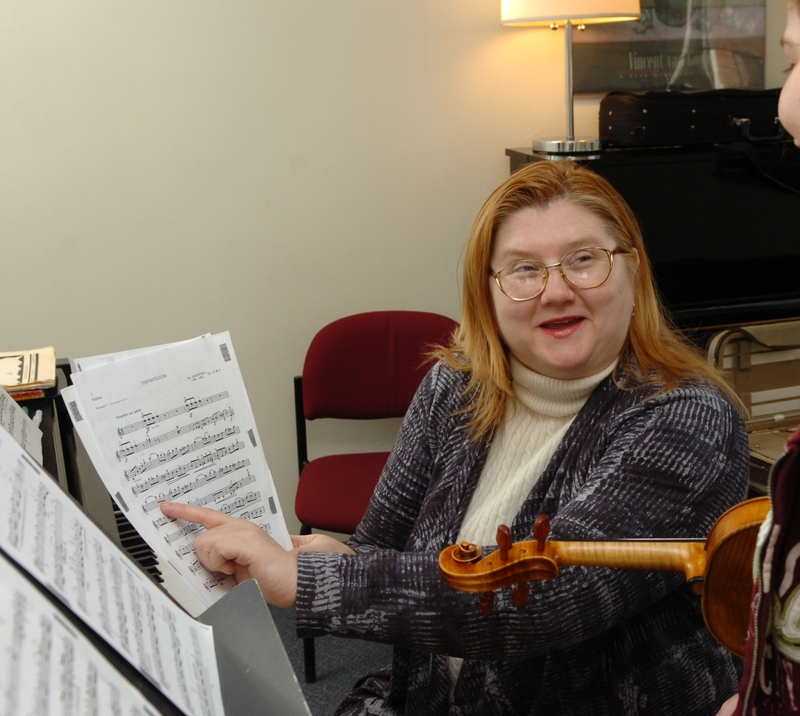 Carol Comune, a successful teacher, composer, and recording artist, performs extensively as a soloist and chamber musician throughout the eastern United States. She has been featured at Lincoln Center, Steinway Hall (New York City), New England Conservatory of Music, the Gardner Museum, The Art Complex at Duxbury, and The Longfellow National Historic Site, (Boston) Flagler Museum, and The Kravis Center (Palm Beach.) Her recitals have aired on National Public Radio. Ms. Comune received a B.M. in Piano Performance from New England Conservatory of Music, where she was a student of David Hagan. She pursued graduate studies also at N.E.C: Piano Pedagogy with Jean Stackhouse, Composition with John Felice and Donald Waxman. Her influential mentor was concert pianist, Anthony di Bonaventura. Through her own company, Elegant Entertainment & Co., Ms Comune has produced eight albums, which are heard on National Public Radio, U. S. commercial stations, broadcast stations in the Far East, Canada, Europe, and on the World Wide Web. She signed with Prolific Arts Music Library and founded Comune Music Press which publishes her original compositions (Gealyn and Me, Sleeping Beauty, The Nightingale, Variations on the hymn, “O, God Our Help in Ages Past,” Carousel Classics and Season of the Light.) Her compositions have premiered at Boston’s Rivers School 30th Annual Seminar on Contemporary Music, New York’s Steinway Hall, and Moravian College. Since 1973 Ms. Comune has taught, coached, judged and accompanied hundreds of students, many of whom have been achievement award recipients and competition winners. Currently an accompanist for Lehigh University, Moravian College, and the NATS competition, Ms. Comune is now on the faculties of Westminster Conservatory of Music, The Eastern Conservatory of Music, and The Piano Workshop at Chester. She maintains a piano studio in Easton, PA. Formerly Carol was Staff Accompanist at Palm Beach Atlantic University, where she also taught piano, coached and performed with singers and instrumentalists. She was also on the piano faculty, accompanist, and chamber coach at New England Conservatory Preparatory School, Berklee College of Music, The New School of Music, (Massachusetts), and The Conservatory of Music at Lynn University. 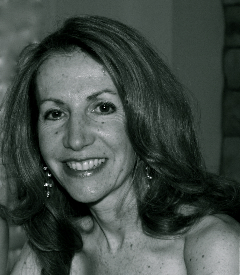 She is a member of the Music Teachers National Association and has given numerous programs for New England Conservatory Intensive Pedagogy, Pennsylvania Music Teachers Association, and Palm Beach Music Teachers Association. A native of California, Clipper Erickson made his debut as soloist with the Young Musicians Foundation Orchestra at age 19 in Los Angeles. After studies at Indiana University, The Juilliard School and Yale University, he began performing as soloist with orchestra and recitalist throughout the United States as well as receiving prizes at several international competitions including the Busoni, William Kapell and the American Pianists Association competitions. His playing also has been heard in some of the most famous concert venues in the world, including the Great Hall of the Moscow Conservatory and the Kennedy Center in Washington. Critics use words like color, power and excitement to describe his performances, with the Washington Post stating: Like a true heroic pianist, Erickson approached Liszt with power, precision and Romantic abandon; a take-no-prisoners rendition of the Waltz from the Opera Faust. Erickson has a special interest in the wonderful diversity of music by Americans, specifically how these composers reflected American history and how America expresses itself in music. This interest has flowered in a series of CD releases of works by lesser known as well as popular American composers that have received considerable critical acclaim and have been often featured on radio. He also enjoys promoting new composers, always choosing pieces that speak to everyone, not only the initiated. Now making his home near Philadelphia he participates in the roster of Pennsylvania Performing Arts on Tour. 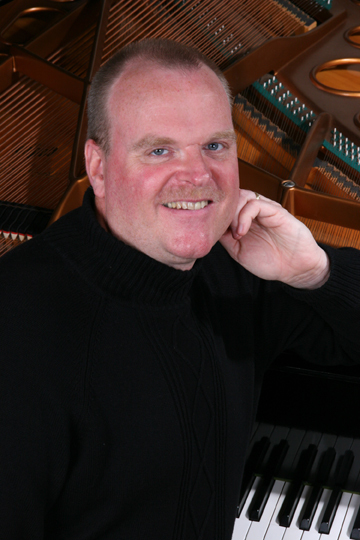 This affiliation, as well as being an alumnus of the Xerox Pianist Program of Affiliate Artists, has given him the opportunity to perform for diverse audiences and illuminate great music for all listeners. He has brought innovative programs to school children, and a wide variety of community groups, fulfilling a mission to bring the enjoyment of classical music to everyone. He currently is on the faculties of Westminster Conservatory in Princeton, Temple University in Philadelphia and previously at Bucknell University. Larissa Korkina earned a Master of Music degree from the Byelorussia State Academy of Music, where she studied with Valerie Minenkov, Grigory Shershevsky, and where she later taught as a member of the music faculty. She has enjoyed a successful career as a recitalist, chamber musician and coach/accompanist. She has collaborated with many opera singers in recitals, as well as in opera productions, including Maria Guleghina of the Metropolitan Opera, Perry Ward, Hanli Stapela and others. She received awards as the best accompanist in three national competitions in Russia. A resident of the Princeton area, she has performed numerous solo, chamber and accompanying concerts in the tri-state area, including special functions at the Garden State Arts Center, McCarter Theatre and Richardson Auditorium. Her recent engagements include the prestigious Matinee Musical Club at the Academy of Music of Philadelphia, Music Heritage Series at Westminster, The Friends of Music at Taplin Hall in Princeton and the Longwood Gardens Concert Series. Ms. Korkina is on the faculty of Westminster Conservatory and maintains a private studio in Princeton. She has also taught at The College of New Jersey and the Hun School. Patricia Tupta Landy holds a D.M.A. degree in collaborative performance from the University of Southern California, where she received awards in Pedagogy and Koldofsky Fellowships in performance. She maintained a private studio and performed frequently as a freelance accompanist in the greater Los Angeles area. She received her M.M. degree from the University of Wisconsin Madison, and her B.M. degree from the Cleveland Institute of Music (CIM). Dr. Landy served as staff accompanist for CIM, and taught at the Cleveland Music School Settlement, where she performed frequently in solo and chamber music concerts. Currently, Dr. Landy maintains a private studio, teaches at Westminster Conservatory of Music and coaches chamber music for the Young Artist Program. She created and directs the Piano Chamber Music Camp as part of the Conservatory’s summer programs and teaches for the Westminster Professional Development Certificate Program. Her students are frequent laureates in area, state and regional festivals and competitions. Elena Panova is on the piano faculty at Westminster Conservatory and is also Chamber Music Coordinator. She received a M.M., with high honors, from Sverdlovsk Pedagogical StateUniversity (Russia) and a B.M. from Tchaikovsky Musical College (Russia). Mrs. Panova has extensive performing experience as a soloist, accompanist and chamber musician in bothRussia and the United States. Her teaching experience includes State Music School No. 2 (St. Petersburg, Russia), Rutgers Community Music Program, The Peddie School, and Westminster Conservatory since 1998. 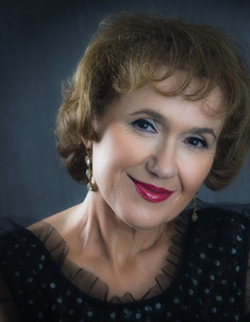 Galina Prilutskaya teaches piano and chamber music as a master faculty member at Westminster Conservatory of Music. She has performed extensively as a soloist, accompanist and chamber musician throughout the United States, Germany and Russia. Ms. Prilutskaya is a recipient of prestigious teaching awards and her students, as winners of numerous competitions, have performed with orchestras at famous music halls in the United States and Russia. Ms. Prilutskaya received her Master of Music degree and Bachelor of Music in Piano Pedagogy and Performance in Russia. Her principal teachers were prominent professors Gregory Dinor, Valentina Pavlova and Roman Klyachko. Ms. Prilutskaya also teaches piano in her private studio in Princeton, New Jersey. Kyu Jung Rhee, a native of Korea, received a D.M.A., M.M. and B.M. from Rutgers University. Her teachers and chamber coaches include Theodore Lettvin, Samuel Dilworth-Leslie, Herbert Stessin, Jeannette Haine, Arnold Steinhardt, Bernard Greenhouse and Zara Nelsova. Recognized for her outstanding performances, Ms. Rhee has won numerous prizes and scholarships, including the Joanna Hodges International Competition and the Class Winner at the Corsi Internazionali Etruria, Italy. 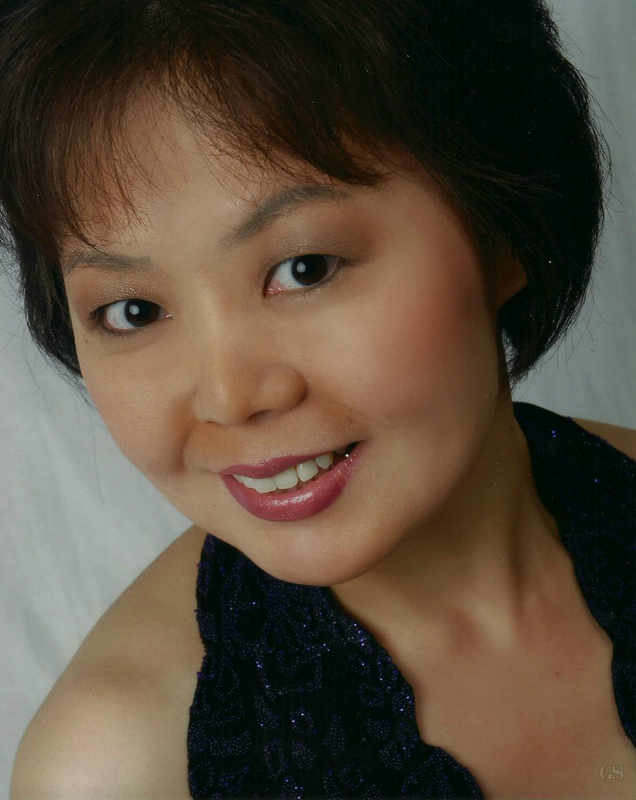 As a chamber musician, Ms. Rhee has performed with the Essex String Quartet and a founding member of I Medici Trio. As a soloist, she has performed in the United States, Italy and Korea. She has taught at Kon-Kuk University and Yewon School of Arts in Seoul, Korea. Currently, she teaches piano and chamber music at Westminster Conservatory. M.M.,Rutgers University; B.M.,Rimsky-Korsakov Musical College of the State Conservatory, St. Petersburg, Russia; Graduate studies, Longy School of Music, Cambridge, MA. Studied with Theodore Lettvin, Victor Rosenbaum and Faina Bryanskaya. Master classes with Claude Frank, Nathan Perelman and Grigory Sokolov. Solo and chamber recitals in the US, Germany, Italy, Hungary and Russia. Frequent adjudicator for competitions, festivals and the New Jersey Governors School. Member of New Jersey Music Teachers National Association. Conservatory faculty since 1994. Was in charge of the Young Artist Program at Westminster Conservatory 1994-98. Teaching experience: The College of New Jersey 2002 -2006: Westminster Choir College Professional Development Certificate Program; She has maintained private music studios in Boston and Princeton. Recipient of teaching awards, including Cecilian Distinguished Pedagogy Award for outstanding teaching; Certificates of Excellence in teaching from American Concert Alliance and American Fine Arts Festival. Her students have won top prizes at prestigious international, national, state and local competitions including: Eastman International Young Artists Competition, Marian Garcia Competition, Steinway Competition, Bart Pittman Competition for high school seniors, Princeton University Music Festival Competition, NJMTA Young Artist Competition, Cecilian Young Artist Competition, Westminster Concerto competition, American Fine Arts Festival and Golden Key Music Festival, among others. Students frequent performances include such venues as Carnegie Hall (Weill Recital Hall), Lincoln Center (Alice Tully Hall), Merkin Concert Hall in New York and Kimmel Arts Center in Philadelphia. 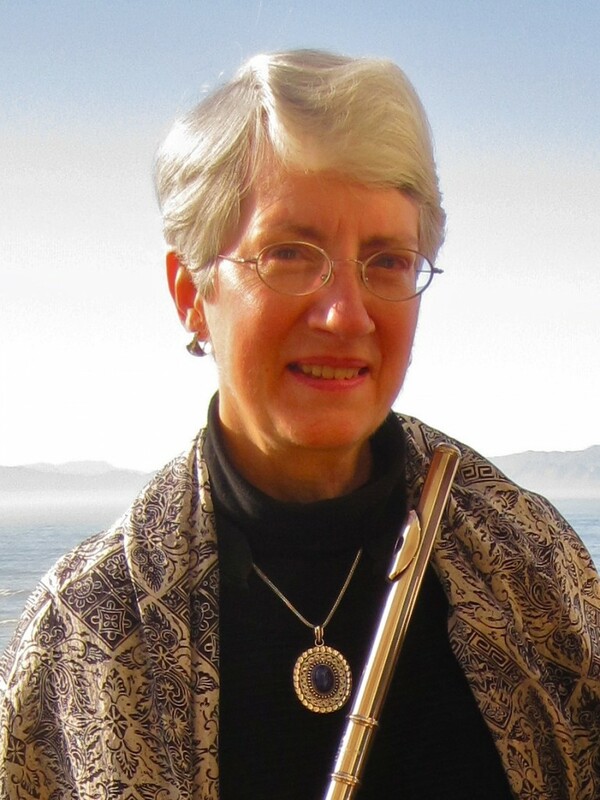 Barbara Highton Williams, flutist, is a founding member of the Volanti Flute Quartet, former principal flutist of the Bravura Philharmonic Orchestra, and former member of the San Jose Wind Symphony and Blawenburg Band. She is also co-founder of AEOLUS, a duo devoted to dialogue between poetry and music for solo flute. She has performed on both coasts of the US and in France, and in 2012 collaborated in a series of flute duo concerts in the Western Cape of South Africa. That work can be heard in the CD Fofa le nna (Fly with me)– Music for Two Flutes. For more than two decades Ms. Williams has appeared frequently in chamber music programs in the Princeton area and throughout New Jersey. A respected artist, teacher, and contributor to the wider flutist community, Ms. Williams is a member of the New York Flute Club (where she served on the board), and the National Flute Association. Her articles have appeared in flute publications, including Flutist Quarterly. She joined Westminster Conservatory’s flute faculty in 1998. She also coaches chamber music for the Honors Music Program and collaborates with the Early Childhood Department in outreach activities in Trenton and Princeton. Raised in Washington, D. C., in a family of artists, she received a B. A. in music, with honors, from Principia College. Her principal teachers were flutists Jacob Berg, Frances Blaisdell, and Jayn Rosenfeld.